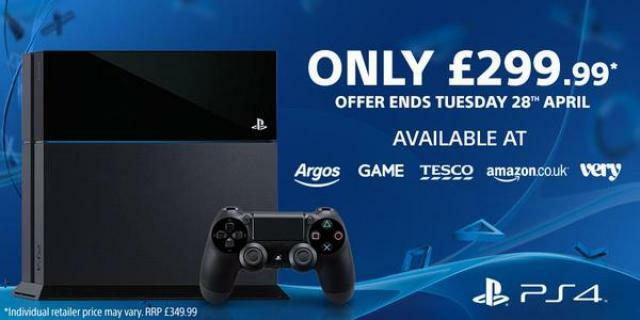 Yes Sony has announced a limited time price drop for it's PS4 console in the UK. Till the end of April there abouts. you can pick up a stand alone unit PS4 for £299. Considering there where many deals prior to Christmas for £299 and with games it does not seem so outstanding ,but it also means that retailers have a slight leway on the price which is evident with Amazon offering the PS4 for £289. So if your in the market for a PS4 in the UK ,now might be the time before it goes back up.